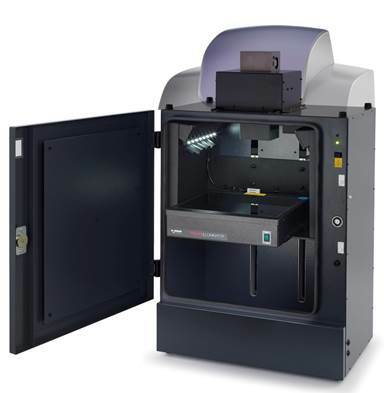 Syngene has announced that its new generation G:Box Chemi XX6/XX9 multi-application imaging systems are now available. Featuring the latest, ultra-sensitive, fast capture lens, these systems ensure scientists can have total confidence that their gel and blot results are accurate and publication-ready. Using an advanced wide aperture f0.8 lens, the camera in the new G:Box Chemi XX6/XX9 systems can capture more light, which means scientists can use shorter excitation times when imaging IR and R,G,B fluorescence blots and gels, thus reducing photobleaching and generating more accurate results. The high-performance lens also speeds up chemiluminescent imaging and lowers reagent costs by reducing the amount of expensive antibodies needed to visualise bands. The super-sensitive lens combined with motorised stage also captures sharp, true to life images, allowing researchers to resolve close chemi and fluorescent bands and visualise bright and faint bands on the same image. Since the results are optical and not just digitally enhanced, scientists can be certain the bands they detect are real, making these systems ideal for precisely quantifying DNA and proteins down to the femtogram level on a range of gels and blots. Designed to be future-proof, the new systems have a clever gantry which can be fitted with Syngene’s R,G,B and IR Hi-Intensity lighting options (up to 200 times brighter than standard LEDs) and new lighting options as they become available. This allows scientists the flexibility to add their choice of illumination and excitation to detect multiple fluorescent channels on multiplex gels and blots, as well as image close bands or spots on complex 2D gels.